I have been looking at the symbols which are found printed on transformers. This actually proved much more difficult than I imagined. 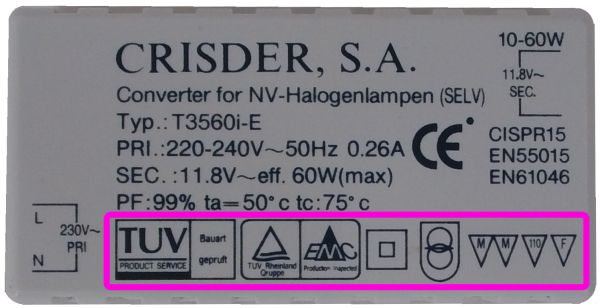 Essentially the symbols represent standards and indicate the capabilities of the transformer. While I was looking into various items and options in a consumer unit or breaker panel, I noted the difference in terms used in North America. Predominantly these are terms used in the USA and UK. I decided that I would compile a table allowing a comparison of some of the common terms used in domestic electrical systems. It also helps to vaguely highlight some of the differences in design and implementation of regulations. Transformer, Electronic Transformer and Switch Mode Power Supply differences. 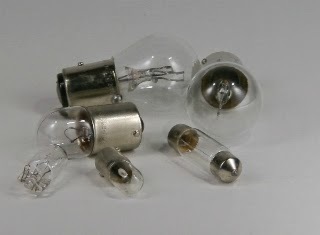 I have been looking at writing a post on electronic transformers due to a conversation I had with a friend. 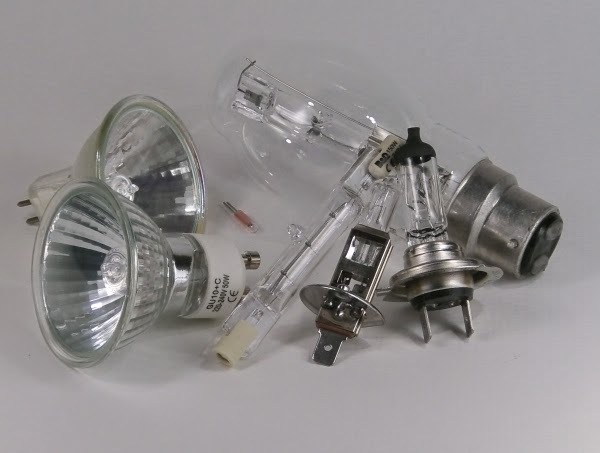 I was explaining why I was changing my low voltage electronic transformer to a different version because I wanted to change from the original 20w 12v halogen light to an energy saving 5w LED which had roughly the same light output but a quarter the power consumption. During the conversation it became apparent that my friend did not know what an electronic transformer was. He incorrectly assumed that it was a switch mode power supply (SMPS). My friend is not a technophobe and was clearly unaware that there was a difference. 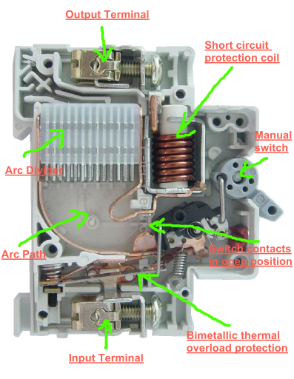 So in the following post I will describe what is the difference between a transformer, an electronic transformer and a switch mode power supply, specifically in regard to the 12v domestic options designed for home use. 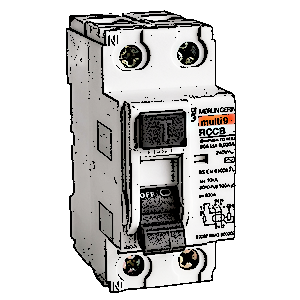 If you are not sure what an earth leakage fault is or how the residual current devices detect it such as an ELCB, RCCB, RCBO or RCD then please look at this post where I explain what these terms are and what it all actually means. In this post I will look at an obscure fault, which can be perplexing and describe what it is and what can cause it. 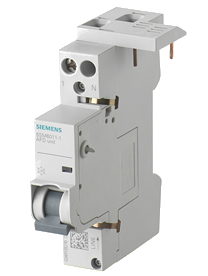 RCD stands for Residual Current Device and this term can cover a multitude of devices with other acronyms such as ELCB, RCCB, RCBO and RCD. I will try to explain in this post what they are, where they might be used, what they detect and how they detect it. 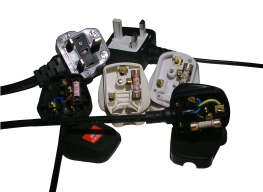 For a more blatant and pithy comparison of any combination of two of the above see my post "Difference FAQ...."
Two things which give power companies headaches are poor power factor and asymmetric loads. I have been looking at power factor explanations on the Internet and have been astounded that for something that appears to be straight forward, it often appears explained in a confusing and laboured way. Even Wikapedia avoids giving a full explanation. In fact, I have only found a single source on Youtube worth listening to. Sadly I have not found a single web source that explains it clearly. So I thought I would have a go with this article on power factor. Often, the words efficiency and efficacy are used confusingly and interchangeably. This regularly leads to an ambiguous understanding of what is being discussed. In this post I hope to discuss the words effective/efficient their terminology and how they are used in a technical environment. Efficiency is an objective word most often misused in a subjective way. The word efficiency can also be used to disguise poor information. Its use has the ability to trigger an emotional response, especially with the spectre of impending doom looming large.